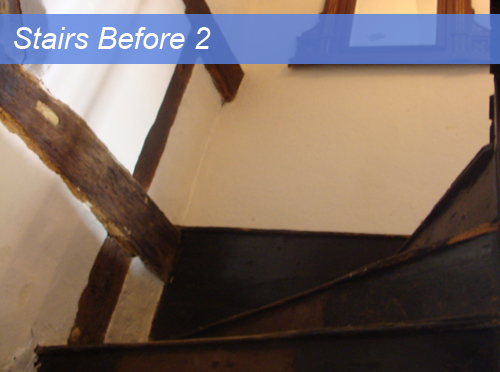 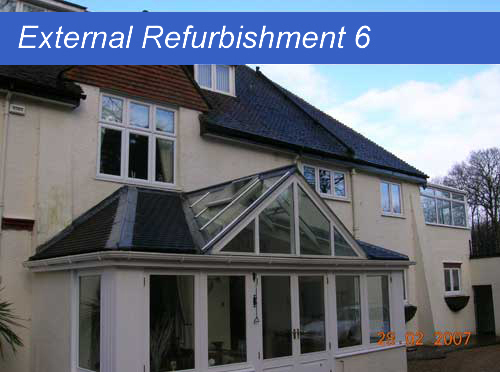 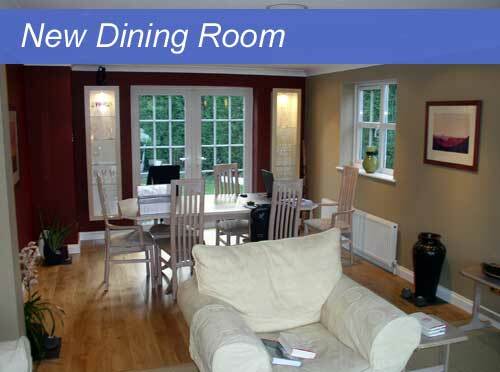 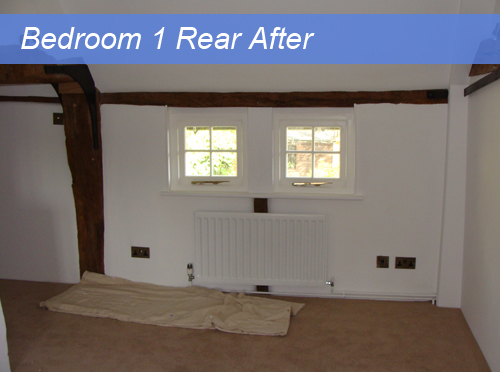 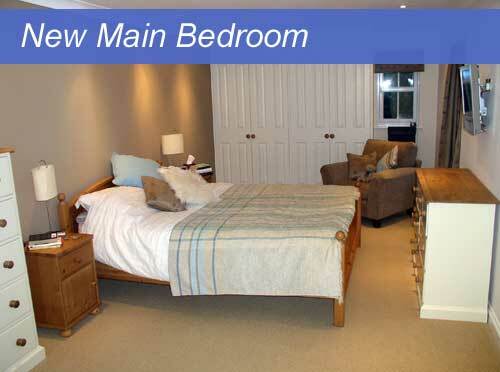 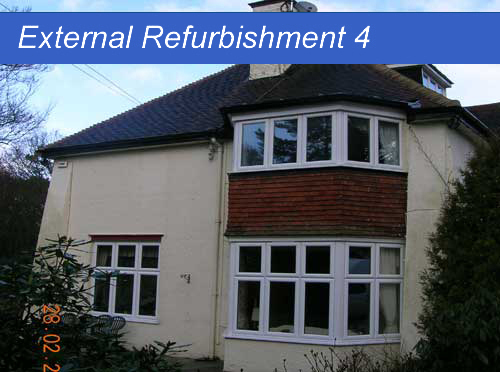 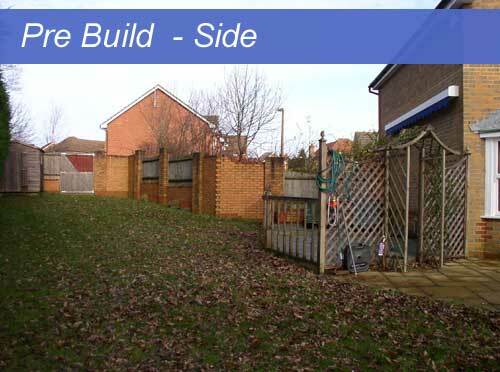 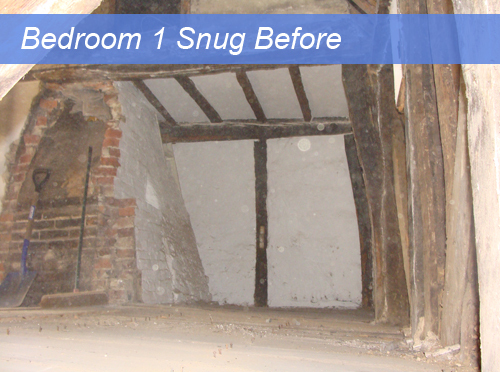 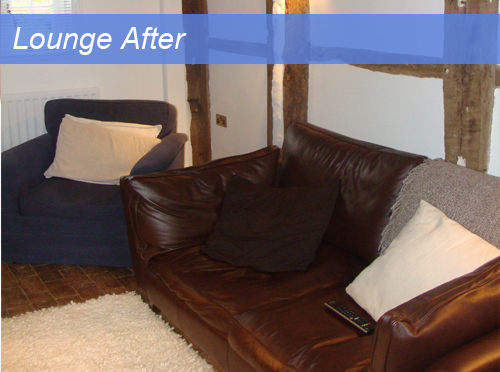 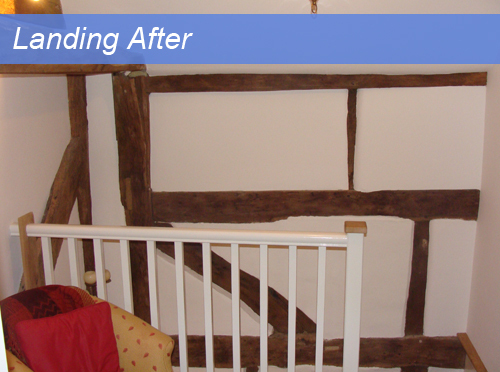 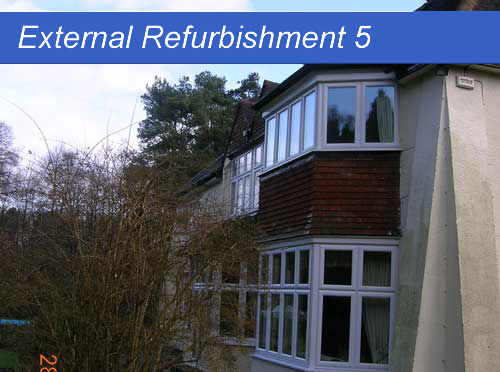 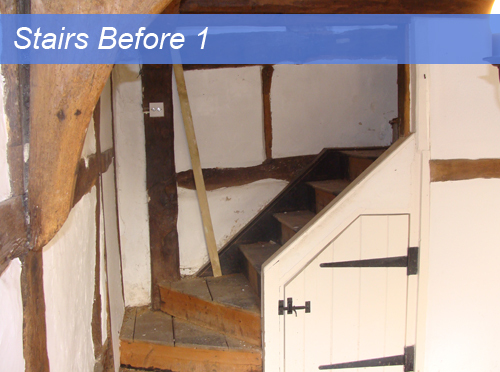 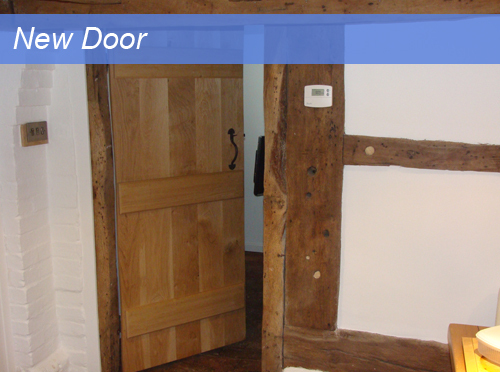 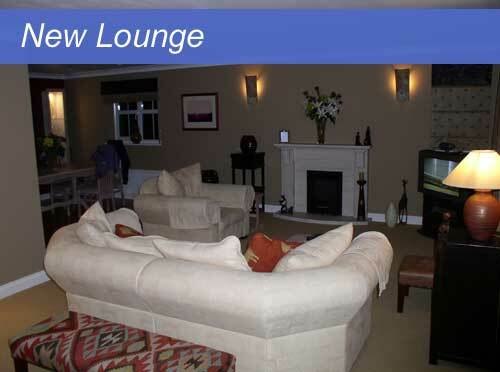 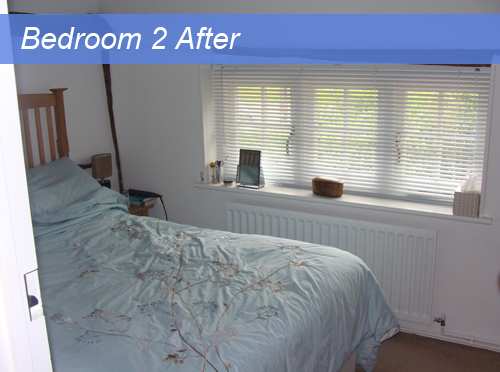 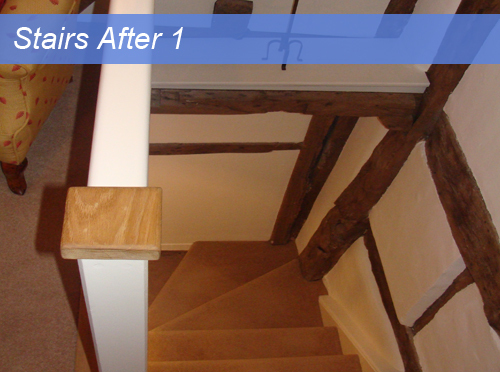 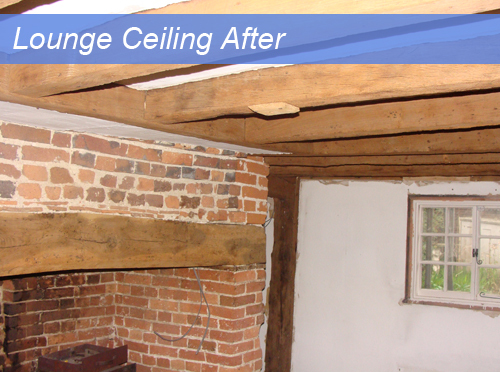 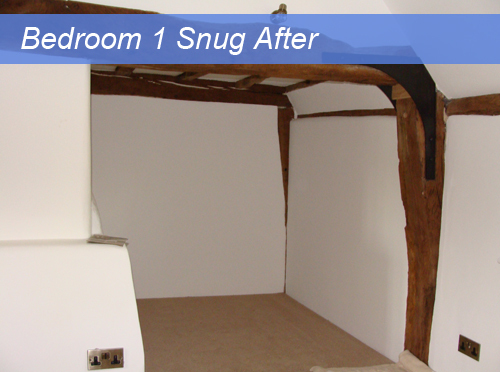 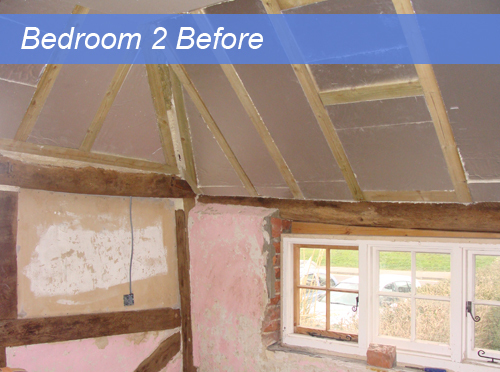 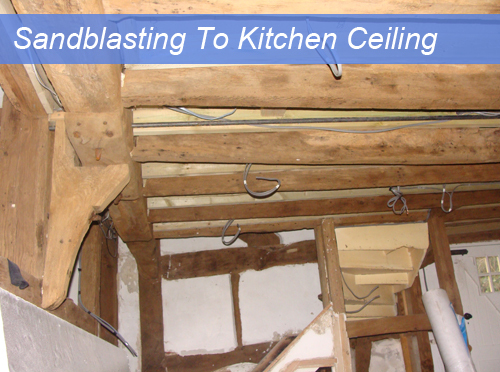 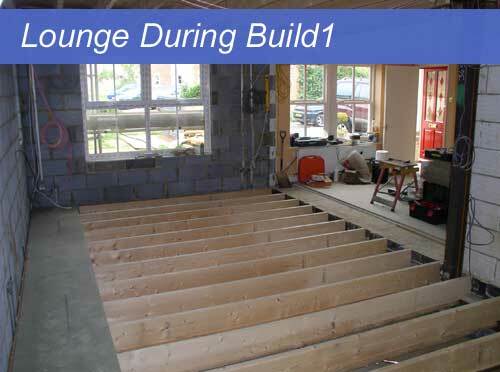 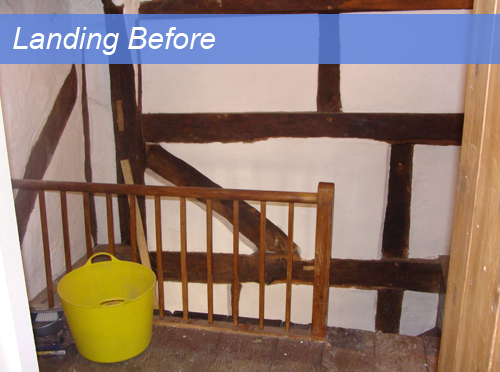 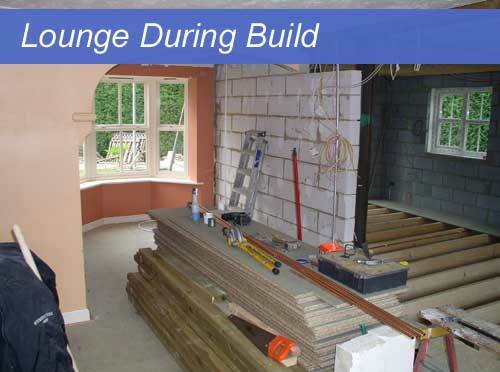 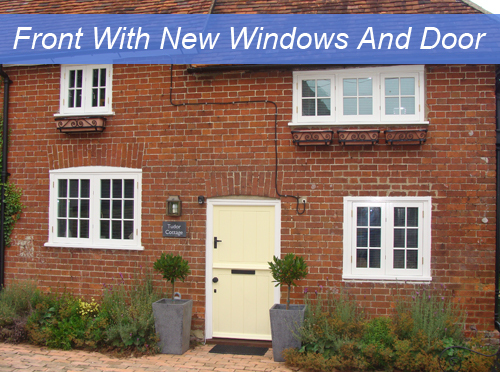 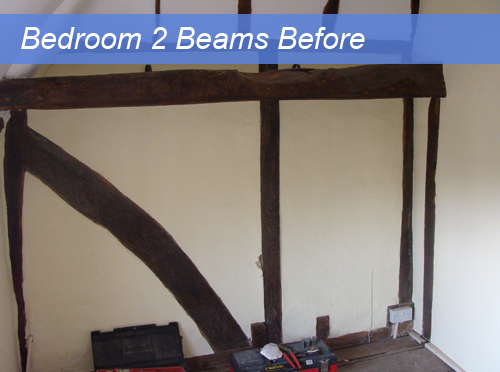 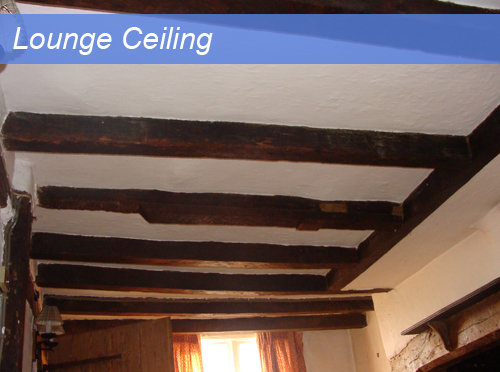 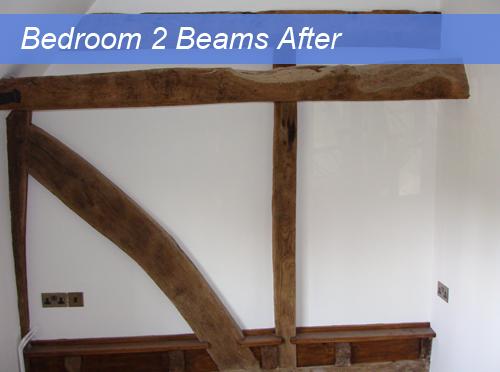 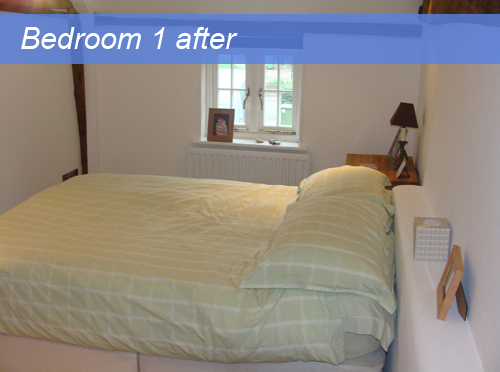 This project was a 2-storey extension to include a new lounge area, extending the kitchen, increasing 2 bedrooms, bathroom and creating additional office area upstairs. 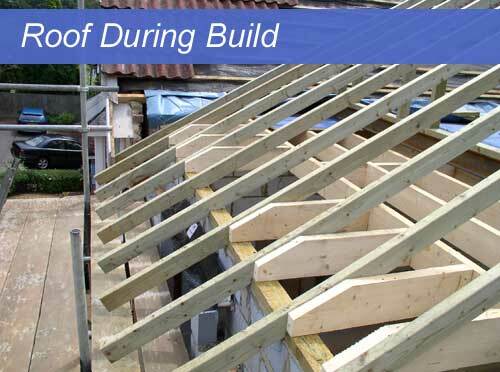 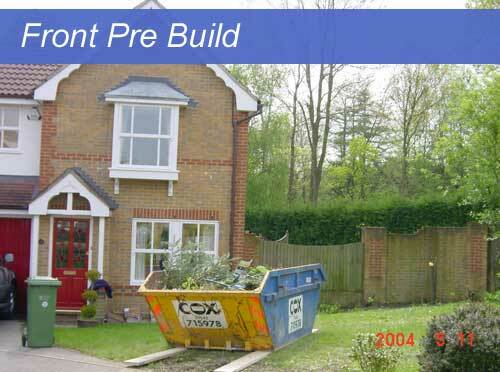 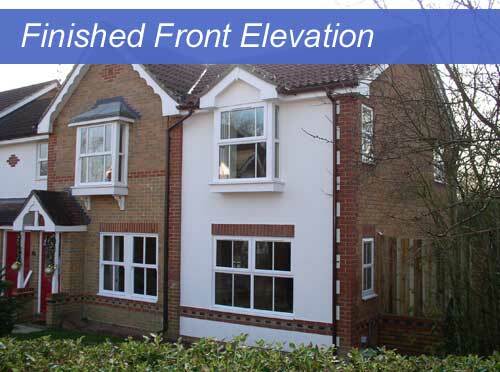 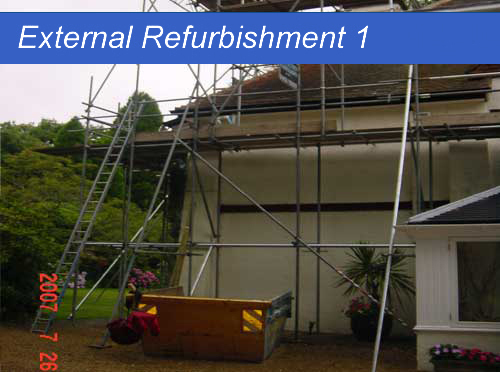 HIBC carried out all aspects of the project, including all external build through to internal decoration. 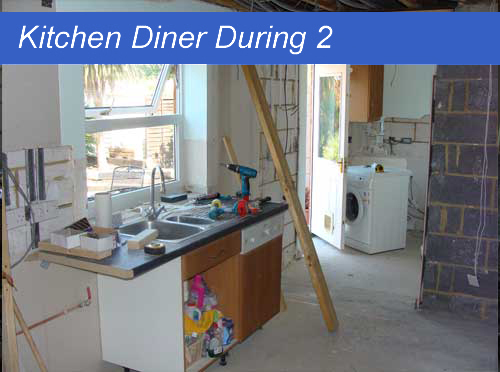 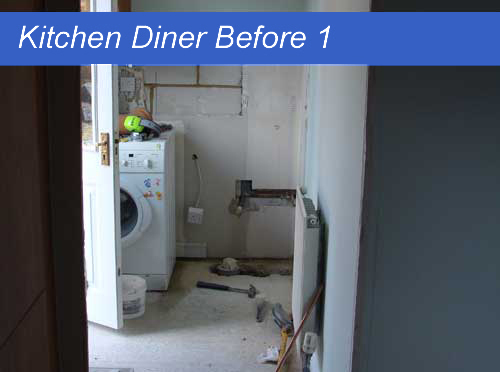 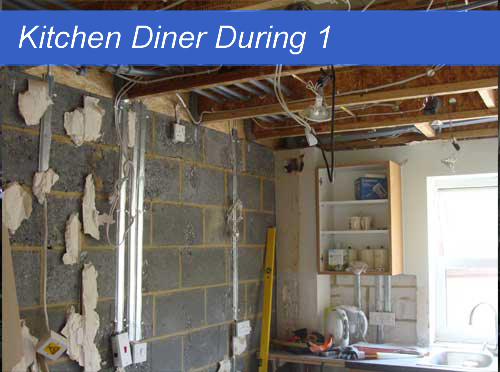 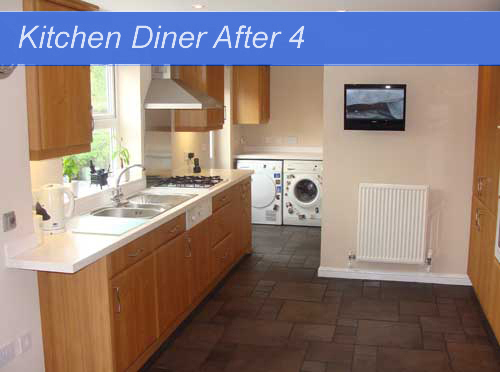 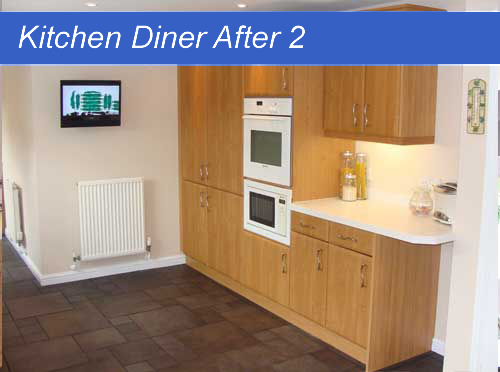 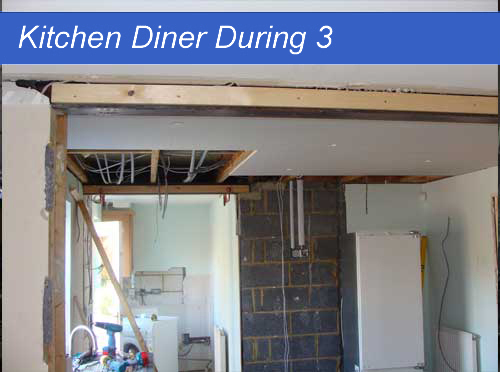 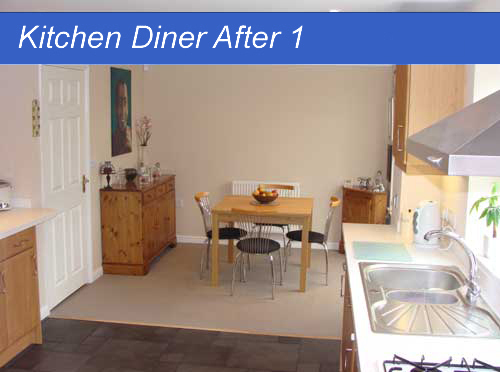 This project took an existing kitchen and separate dining room and combined the two rooms into one large, open kitchen/diner. 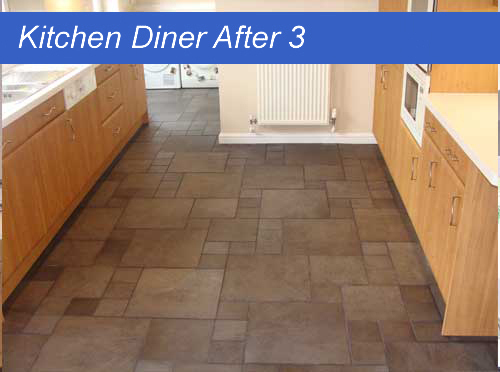 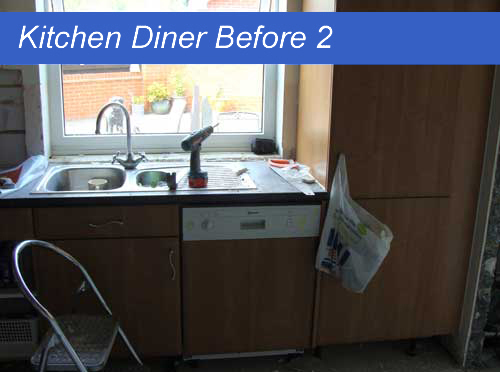 To help keep within the clients budget; we remodelled the kitchen using the existing units, replacing worktops, sinks and flooring. 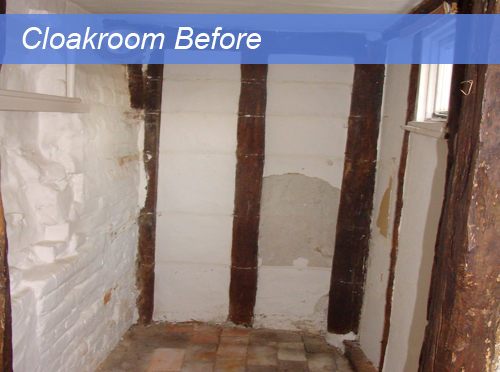 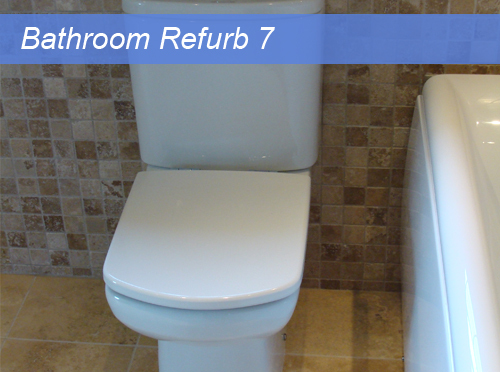 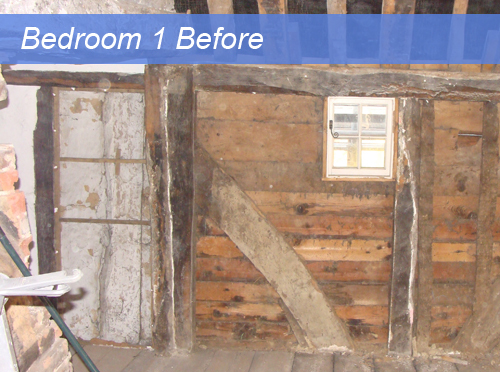 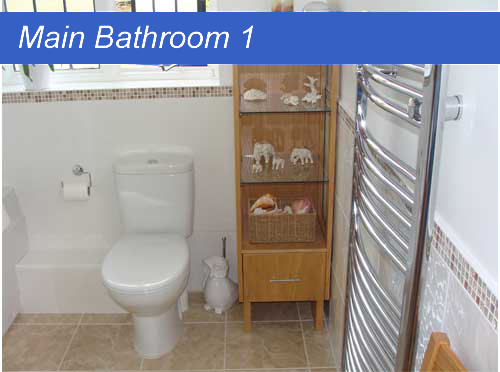 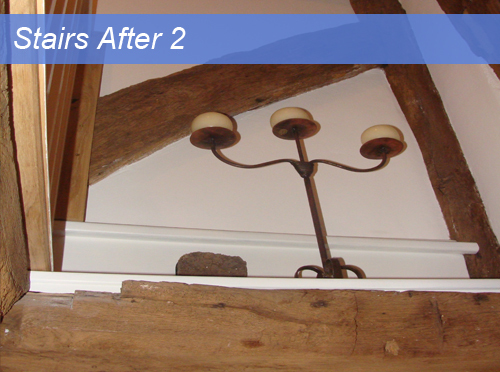 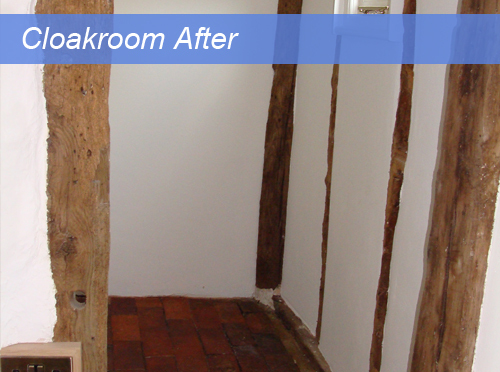 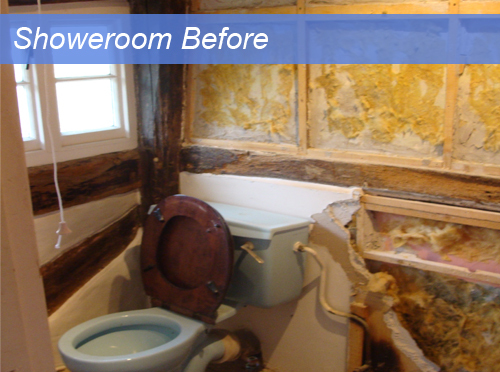 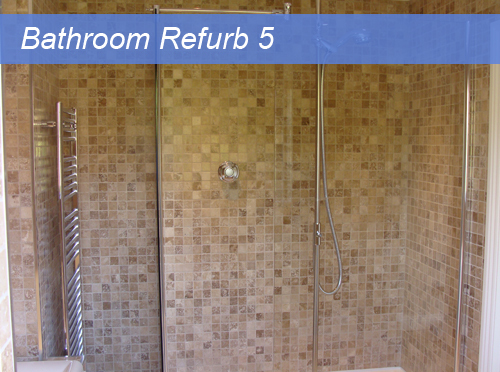 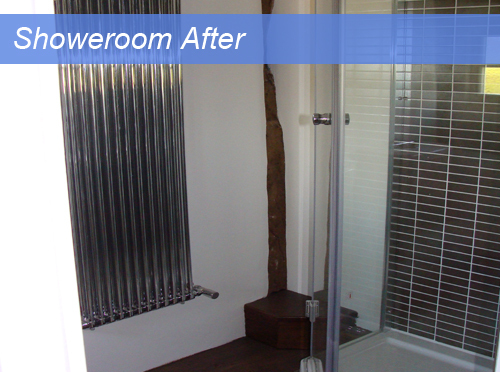 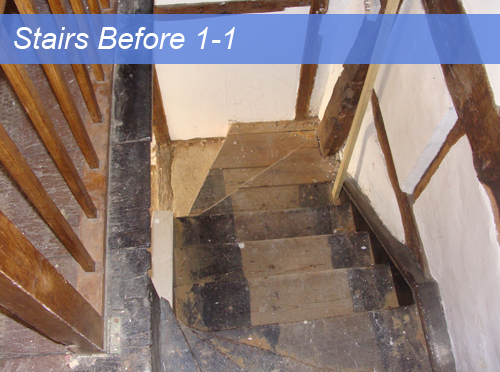 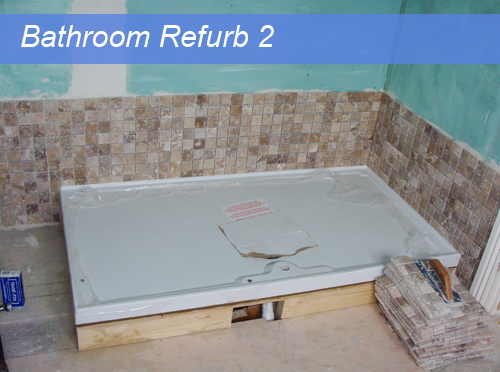 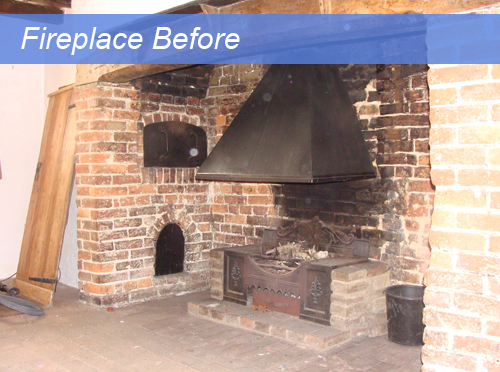 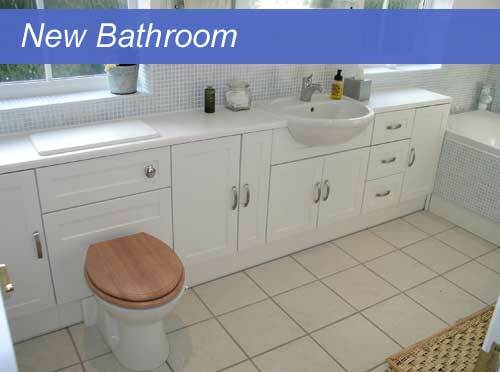 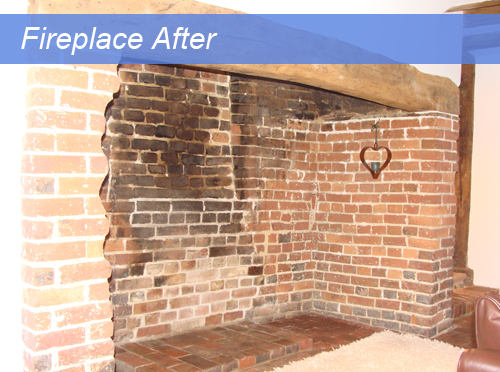 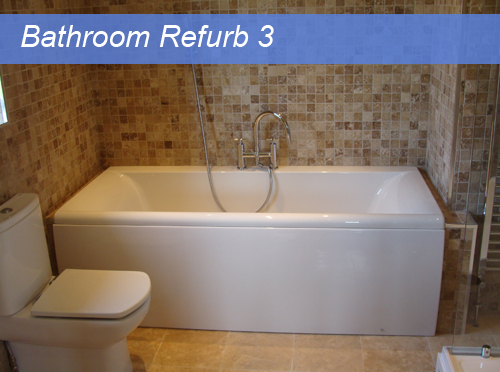 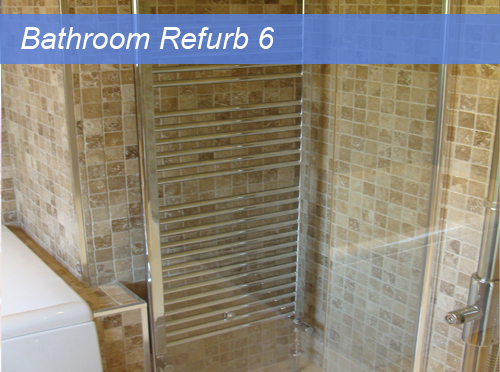 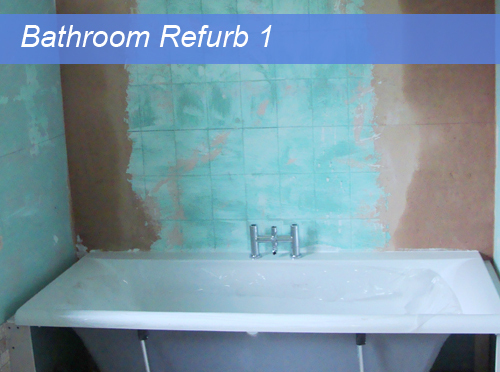 Within in this project, we completely redesigned the existing bathroom. 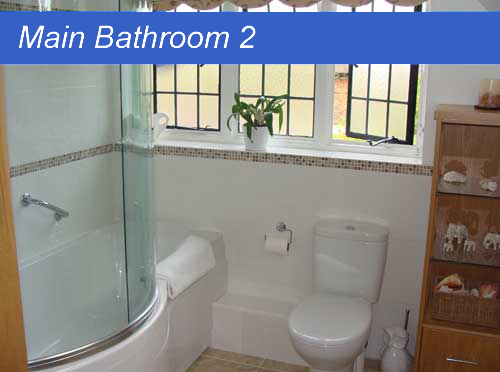 We increased the actual size of the bathroom area in order to include a separate walk-in shower area, larger bath and more space around the WC and pedestal sink area. 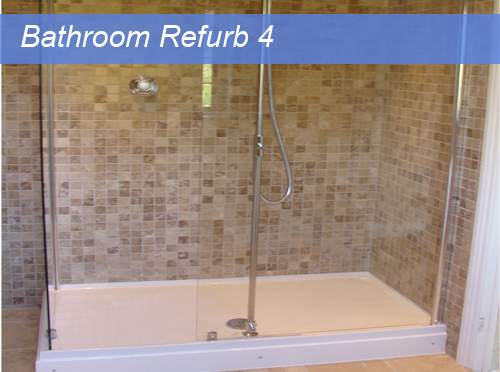 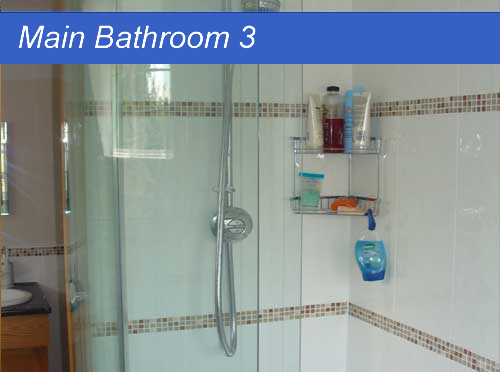 In this project we converted a separate WC and bathroom area into one main bathroom with shower and bath. 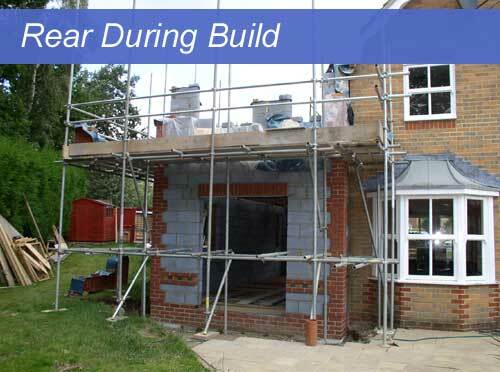 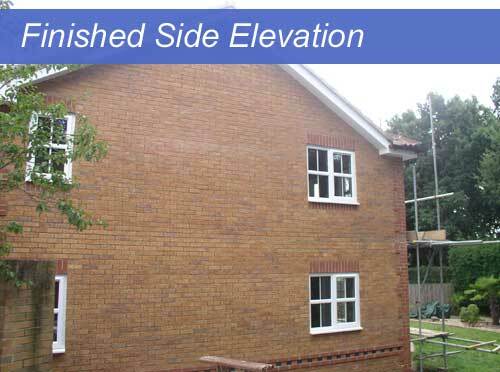 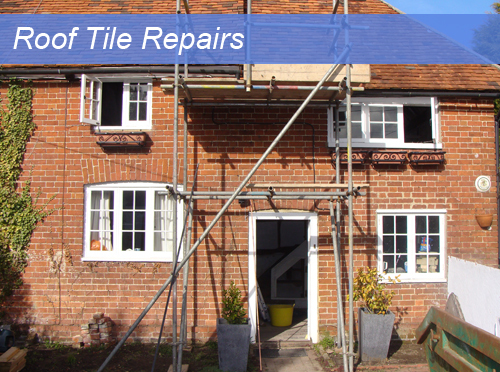 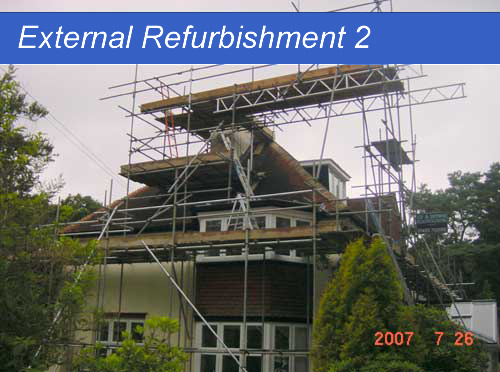 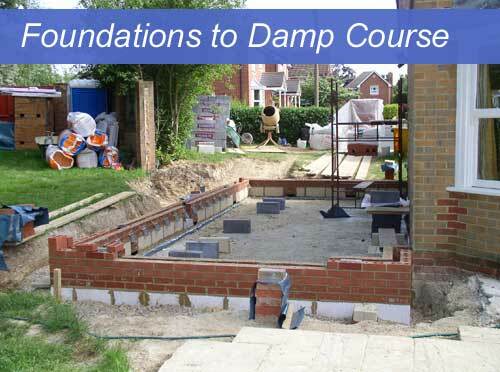 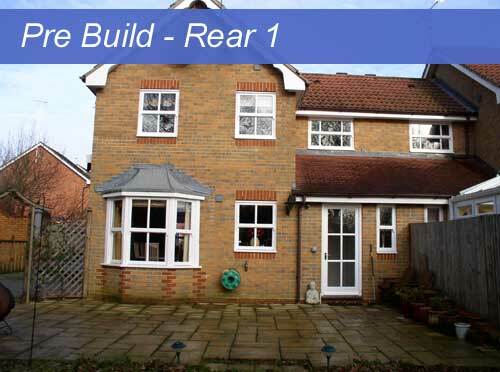 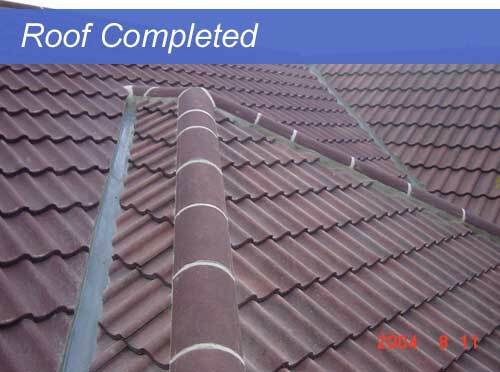 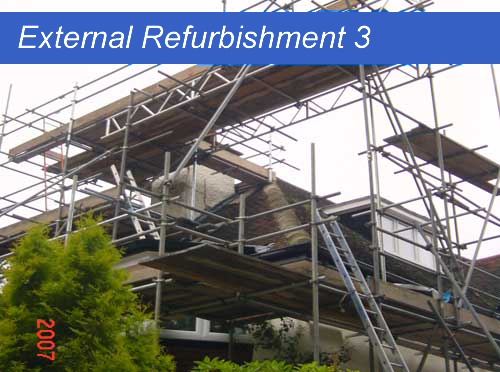 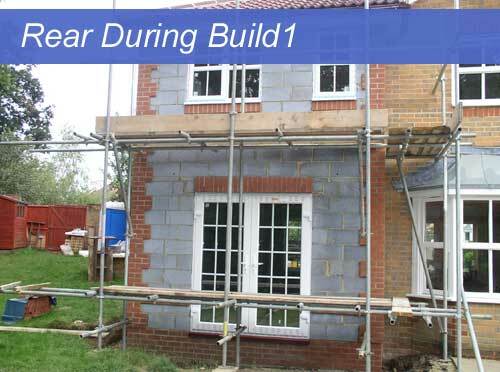 This project involved very complex scaffolding in order to replace a fire damaged chimney, fascias, bargeboards, guttering and downpipes.